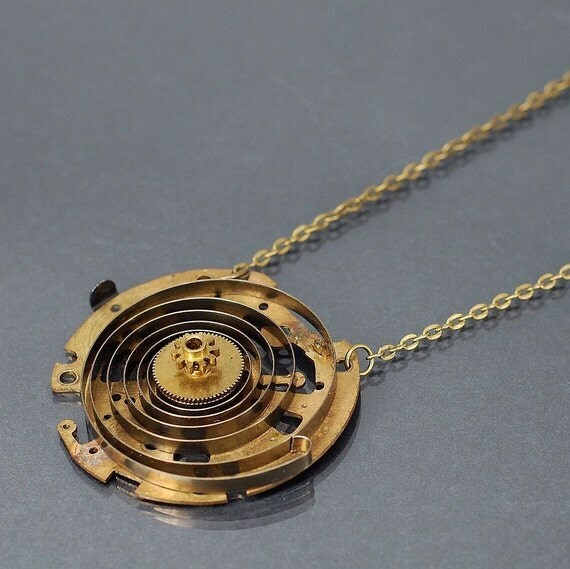 I made this found object necklace from a brass clock part, clock spring, and brass clock gear that I salvaged from an old broken clock. The chain is antiqued brass and has a lobster claw style clasp. The pendant is 2" in diameter. The necklace is 22" in length.